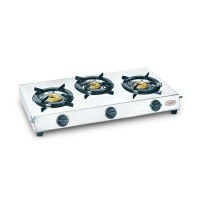 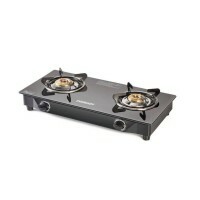 A wide range of gas stoves that are fuel efficient, easy to clean and offer maximum convenience. 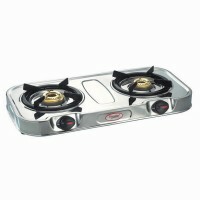 Made from high quality stainless steel, they are an elegant addition to your kitchen. 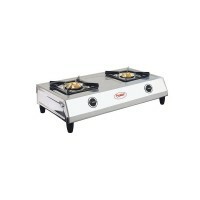 Also, all the models are ISI certified.ISI certifiedPress-fit knobsBrass burnersStainless steel bodyTaller legs & folded edges at bottom..
ISI certifiedPress-fit knobsBrass burnersStainless steel body,Taller legs & folded edges at bottom.A wide range of gas stoves that are fuel efficient, easy to clean and offer maximum convenience. 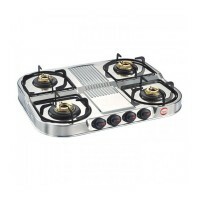 Made from high quality stainless steel, they are an elegant addition to your kitchen. 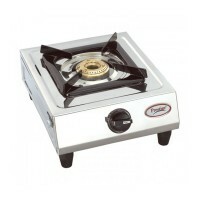 Also, all the models are ISI certified.. 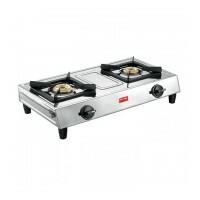 The Stunning Prestige Royale range of gas tables is designed to combine maximum convenience with great looks. 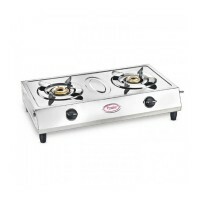 Crafted with drawn single piece stainless steel body, these gas tables are a combination of performance and stunning looks. 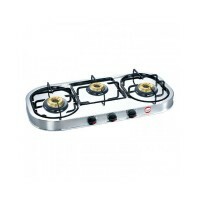 • Individual Pan support • Drawn stainless steel body • High-efficiency brass burners • Spill proof design.. 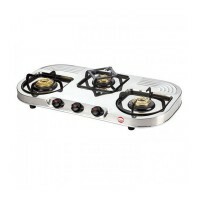 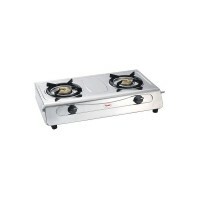 Individual Pan SupportDrawn stainless steel bodyHigh-efficiency brass burnersSpill proof designDuplex advantageThe Stunning Prestige Royale range of gas tables is designed to combine maximum convenience with great looks. Crafted with drawn single piece stainless steel body, these gas tables are a combination of performance and stunning look..